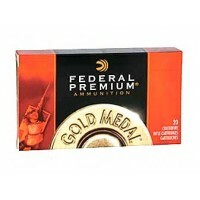 The .223 Remington and 5.56 NATO calibers are the popular centerfire cartridge in America. 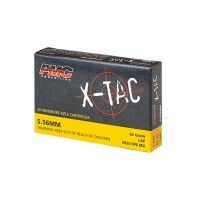 Stock up with the best ammo today! As a side note, we go through differences in the Bullet Calibers & Types lessons, but basically you can shoot .223 ammo in a 5.56 barrel, but since 5.56 may have higher pressures, you should not shoot them in a .223 Rem barrel. 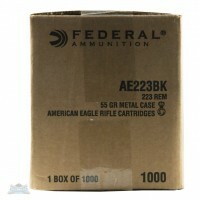 Please do not confuse .223 Remington with 223 Wylde, in which you can shoot both, 5.56 and .223! 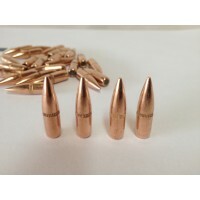 1,000 PCS MIL-SPEC SS109 BULLETS SAME BULLETS USED IN "GREEN TIP PENETRATOR" AMMO. 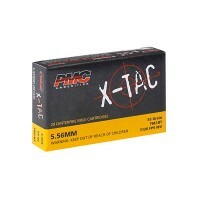 (JUST WITHOUT THE GREEN TIP) .223 62 GRAIN BULLETS DO CONTAIN A STEEL PENETRATOR AND ARE MAGNETICBULLETS FOR RELOADS ONLY, DO NOT COME WITH CASES ..
5,000 PCS MIL-SPEC SS109 BULLETS SAME BULLETS USED IN "GREEN TIP PENETRATOR" AMMO. 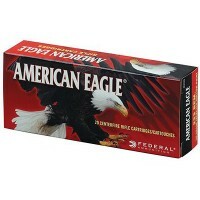 (JUST WITHOUT THE GREEN TIP) .223 62 GRAIN BULLETS DO CONTAIN A STEEL PENETRATOR AND ARE MAGNETIC ..
American Eagle Bulk Pack 223 Remington, 55 Grain, Full Metal Jacket (FMJ), Bulk Packed in a 1000 rd. 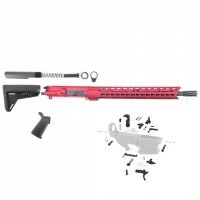 Case SPECIFICATIONS: Mfg Item Num: AE223BK Category: AMMO CENTERFIRE Caliber :223 Remington/5.56 NATO Bullet Type :Full Metal Jacket (FMJ) Bullet Weight :55 GR Muzzle Energy :..